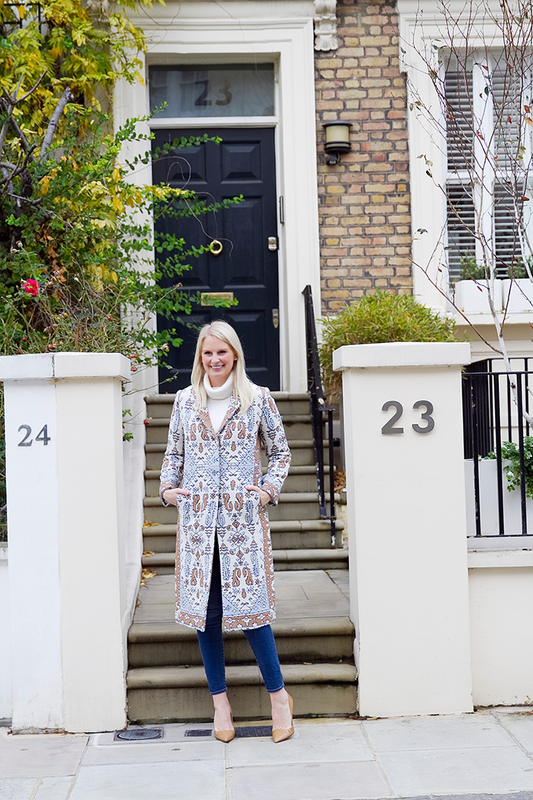 Nobody does a statement coat better than Tory Burch. Remember this embellished coat from spring? Obsessed. 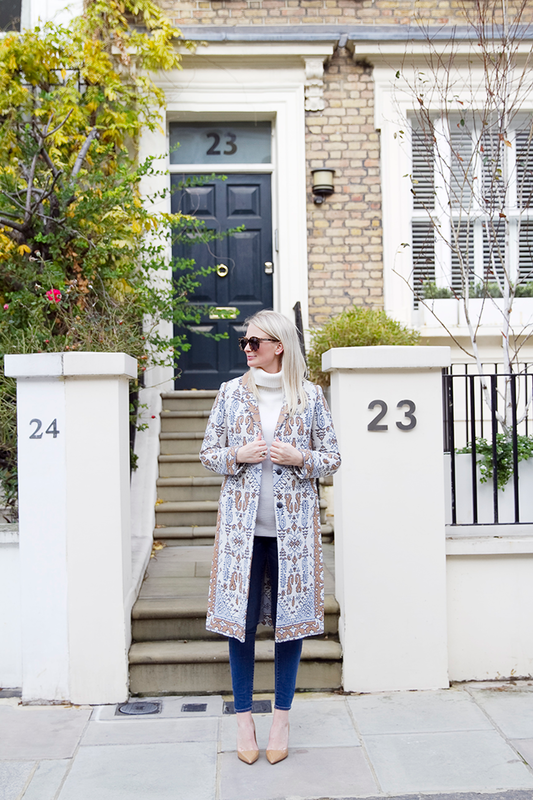 With the amount of winter white in my wardrobe, I thought this jacquard coat from Tory’s Fall ’15 collection would be a lovely addition to go with it! A few more coats from her collection I’ve fallen for include this sequined alpaca coat, this embellished tapestry-print coat, and this crochet suede coat. Tory Burch is also gifted (pun intended) with holiday present ideas. Have you seen this gilded paperweight? Such a chic desk accessory – plus it’s on sale! For a super cute stocking stuffer, this striped tassel key fob is a winner. There’s even a gift for your pup! If you’re struggling to find the perfect gifts this season or you’re on the hunt for a pretty holiday party look, I hope you’ll join me at the Tory Burch store in Highland Park Village next week! I’ll be hosting a styling session and sharing my favorite gift ideas, holiday ensembles and more on Wednesday, December 9th from 6-8pm (one week from today)! Below are all the details… I hope to see all of my Dallas-area readers there! This coat is stunning, love this! What a fun coat! It’s so pretty! Are you back in Texas?! Looking beautiful as ever.. love that coat! Beautiful photos, Merritt! I have the TB dress in this pattern. Love it. Congrats on your Tory Burch event! So exciting! What a fun event! I’m obsessing over this coat! Wow! This coat is amazing! The pattern is so beautiful! Beautiful! 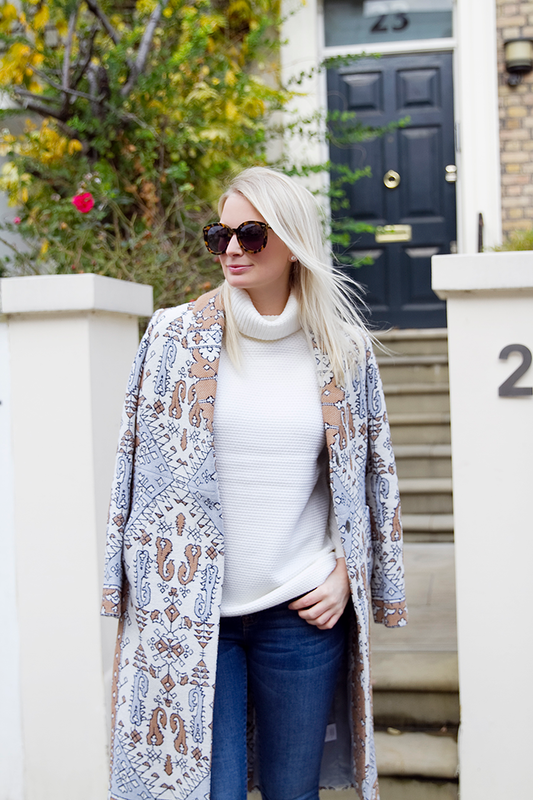 You’re so right…no one does a statement coat better than Tory Burch! That statement coat is absolutely gorgeous!